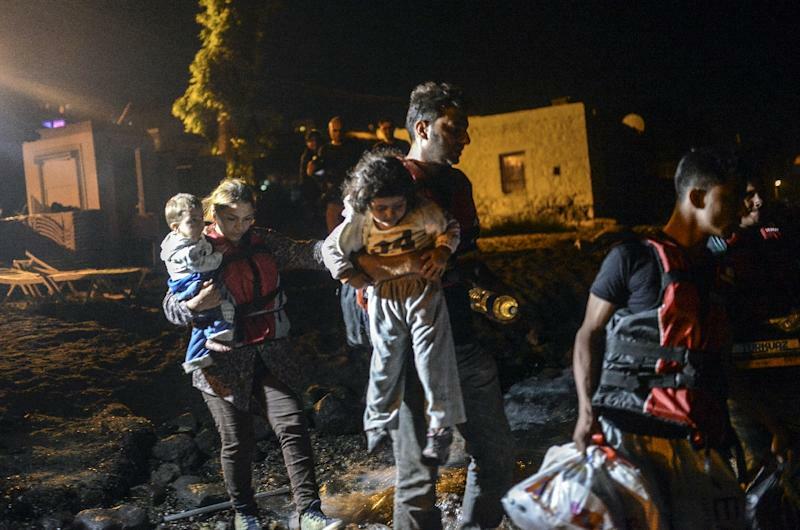 Kos (Greece) (AFP) - When Wael and his relatives from Syria climbed into an inflatable boat in the dead of night to cross the sea from Turkey to Greece, they abandoned all their belongings -- except their smartphones. Refugees are using Facebook groups with tens of thousands of members to share photographs and experiences, find smugglers' phone numbers, map their route from Turkey to Greece and onward to northern Europe, and to calculate expenses. "We couldn't take anything with us on the boat, we were all so crammed. But these phones are our most precious belongings," said Wael, who fled Syria with his bright green-eyed wife and 12 relatives, including three children. 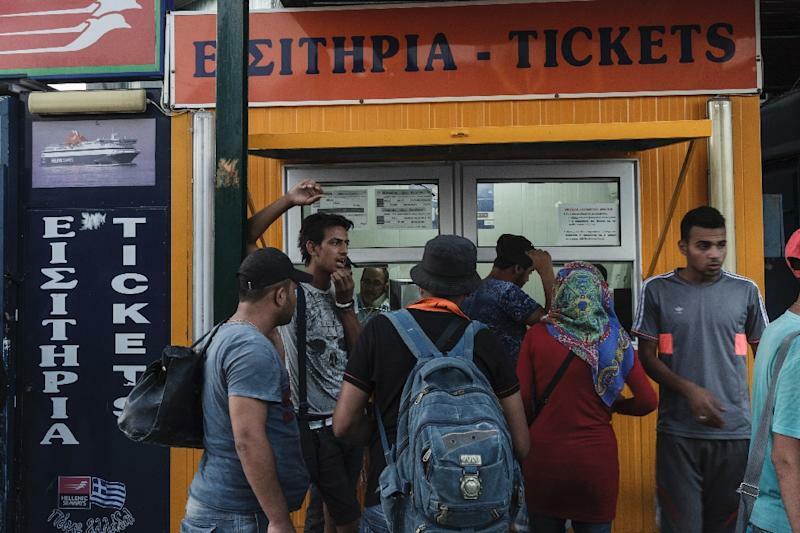 They are among more than 135,000 refugees and migrants who have arrived in Greece this year, amid Europe's biggest migration crisis since World War II. "I wrapped my phone up in a resealable plastic bag to protect it from the water," said the olive-skinned man. "We have taken photos of every step of our journey and sent them to our families," said Wael's cousin Raed, 30, adding that social media is a "vital" resource for refugees who have no legal way to reach Europe. "No one gives us visas, so we have to find alternatives. On Facebook, we Syrians help each other and give each other advice," said Raed, who left behind his wife and six-month-old, ill daughter. He hopes to reach Germany, and once there apply to be reunified with his family. "There are entire conversations about which country is best for each person. For instance, Germany is good for family reunification. Sweden is good because you get your papers immediately," he said, citing information he found on social media. "That helps each of us set our target," Raed said, adding that he has looked up photographs and articles online about Berlin, "a nice city where people have rights". "Asylum and migration in all Europe" and "Asylum in Sweden, Holland, Norway, Germany, Britain, Austria and Switzerland" are just two of dozens of Facebook groups that Syrians are operating and using to learn about the perilous, in some cases deadly journey to Europe. A fourth, closed group called "Bus stop for the lost ones" is one of the most popular, boasting more than 42,000 members. Several Syrians in Kos told AFP they had used this page to map their route. "Guys, in which German federal state should I hand myself over to the police? Where will I get a residence permit the quickest?" asks one user. "Thank God... We have arrived on the (Greek) island of Chios," wrote another user, posting a picture of himself and two other young men, one of them flashing a victory sign. "If I get residence in Germany, will I be allowed to travel to Lebanon?" asks a third. "Quickly, quickly! I need a hotel in Belgrade, does anyone have any addresses?" inquires a fourth. "Guys, will $2,500 (2,250 euros) be enough?" asks another. In the comments section, other users reply. "Go for it," a participant tells the user who asked about costs. "I made it with $900." "We do this to help each other," explained Said, a 22-year-old computer engineering student from the besieged town of Daraya, southwest of Damascus. 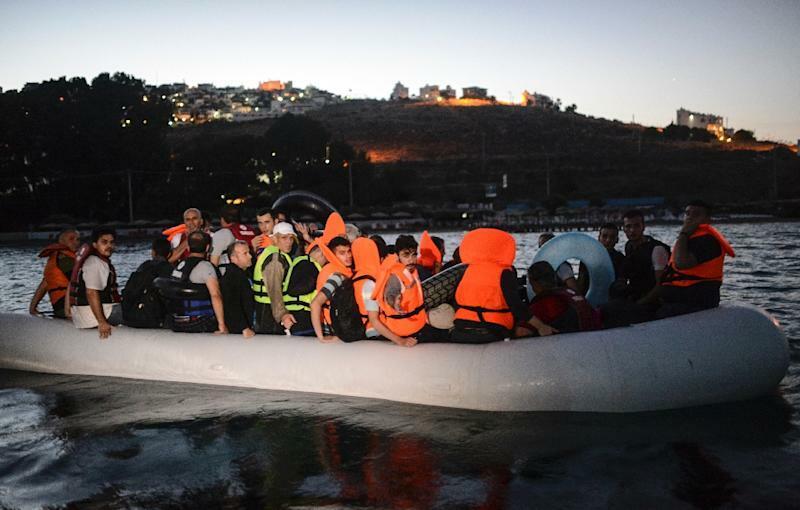 "We want to help our fellow Syrians so no one gets cheated by smugglers. So whenever someone finds a smuggler who charges less, his phone number gets passed around," he added. Said, who was a non-violent activist in the Syrian revolt that later morphed into a savage civil war, believes documenting the journey to Europe is as important as detailing the violence at home. "We Syrians took pictures of every protest and every massacre. We aren't going to stop sharing our stories now. Migration is part of our story now," he said.